If you violate your child support order, your ex-spouse can file an action for contempt of court. Contempt of court means that you have violated a court order, so similar actions can be filed for a violation of custody or visitation orders. Typically, your ex-spouse files a petition with the court that issued your most recent child support order, but the exact procedure varies according to state law. At the contempt hearing, the court will determine whether your nonpayment meets your state’s definition of contempt. Generally, you will be found in contempt if you deliberately failed to pay child support as ordered. For example, if you chose not to pay because your ex-spouse did not allow you to see the child in accordance with your visitation schedule, you will probably be found in contempt. If you lost your job and had no money to pay, the court may find you were not in contempt. If you are found in contempt, the court can put you in jail; however, the exact amount of time you receive varies by your state’s laws and the judge. For example, your state’s maximum sentence may be 180 days, but the judge may only put you in jail for a few days, to discourage future disobedience of the court’s orders. If your circumstances have changed such that you are having difficulty paying your child support, you may ask the court for a modification. For example, if you have remarried and now have more children or if you now earn less money, the court could reduce your child support payments. If you are sent to jail for any reason, including nonpayment of child support, you can ask the court to reduce your payments until you are released from jail and can begin working again. The court can take other actions against you if you continue to fail your child support obligations. For example, the money can be automatically withheld from your paycheck, tax refunds or government benefit payments. If you have any professional licenses or a driver’s license, these can be revoked or suspended after frequent nonpayment. Liens can also be placed against your vehicle or other property, thereby restricting your ability to sell it. Ultimately, you may even face criminal felony charges if other efforts to collect are unsuccessful. 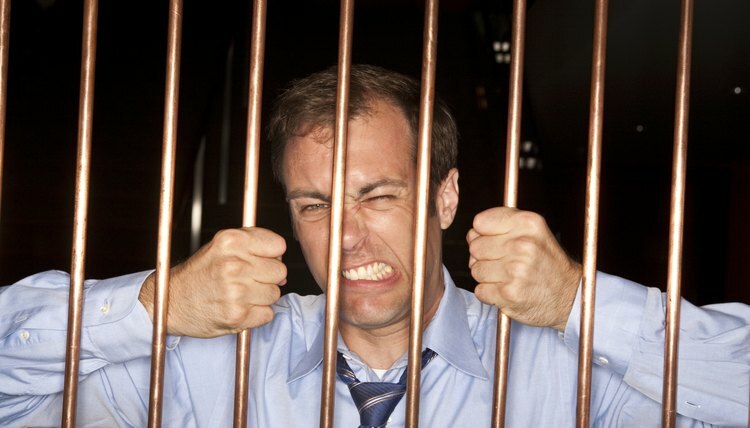 National Fathers’ Resource Center: Can I Go To Jail For Not Paying? Clark County Prosecuting Attorney: Child Support Division: How Is the Support Order Enforced?